Publisher's Note: Products purchased from Third Party sellers are not guaranteed by the publisher for quality, authenticity, or access to any online entitlements included with the product. 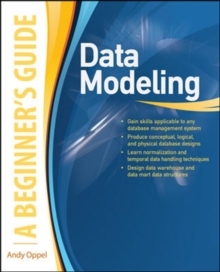 Essential Skills--Made Easy!Learn how to create data models that allow complex data to be analyzed, manipulated, extracted, and reported upon accurately. 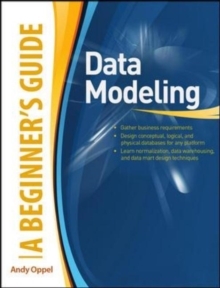 Data Modeling: A Beginner's Guide teaches you techniques for gathering business requirements and using them to produce conceptual, logical, and physical database designs. You'll get details on Unified Modeling Language (UML), normalization, incorporating business rules, handling temporal data, and analytical database design. 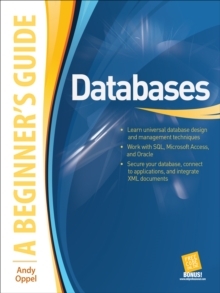 The methods presented in this fast-paced tutorial are applicable to any database management system, regardless of vendor. 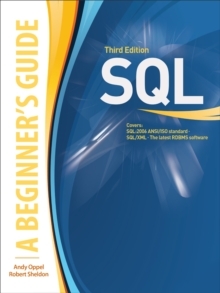 Designed for Easy LearningKey Skills & Concepts--Chapter-opening lists of specific skills covered in the chapterAsk the expert--Q&A sections filled with bonus information and helpful tipsTry This--Hands-on exercises that show you how to apply your skillsNotes--Extra information related to the topic being coveredSelf Tests--Chapter-ending quizzes to test your knowledgeAndy Oppel has taught database technology for the University of California Extension for more than 25 years. 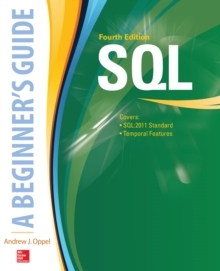 He is the author of Databases Demystified, SQL Demystified, and Databases: A Beginner's Guide, and the co-author of SQL: A Beginner's Guide, Third Edition, and SQL: The Complete Reference, Third Edition.